Cleantech too difficult for software and social networking investors. 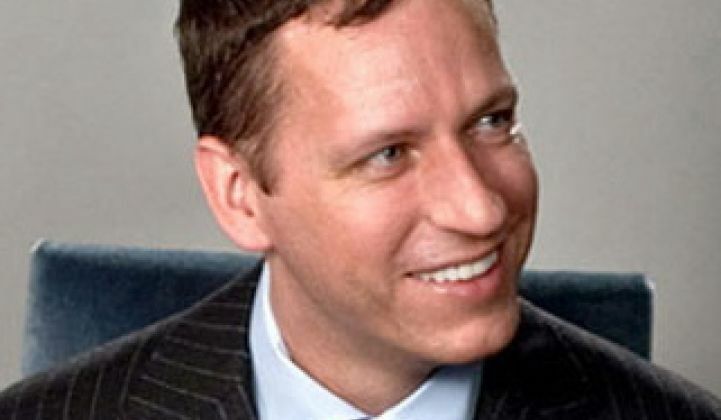 Peter Thiel, known as the "Don of the PayPal Mafia," declared clean technology a “disaster” at Venture Beat's TechCrunch Disrupt 2011 conference in San Francisco. OK, folks, go on home. Stop all this saving-the-world, green-energy stuff. It just isn't working. Thiel has spoken. Thiel is a billionaire libertarian hedge fund manager and venture capitalist who founded PayPal and was an early investor in Facebook and LinkedIn, amongst other software, social network, and data analytics companies. He endorsed Ron Paul for president in 2007 and Meg Whitman for California governor in 2010. Thiel has begun a "20 Under 20” grant program for young entrepreneurs through his Thiel Fellowship program. Thiel said at the TechCrunch event, “Cleantech is an increasingly large disaster that people in Silicon Valley aren’t even talking about any more,” adding, "The failure in energy and transportation points to a larger failure in clean energy -- we aren’t moving any faster, literally, than we were when modern airplanes first came out," as quoted in Venture Beat. Greentech Media is talking about it. And so are plenty of Silicon Valley venture capitalists. And Thiel, evidently, hasn't driven a Tesla. So, he isn't a fan of cleantech -- or at least the way cleantech investments have progressed. Judging by these quotes in a Cato Institute essay, other things that Thiel doesn't like include poor people and women. The first words of his Cato essay are, "I remain committed to the faith of my teenage years." Which sounds about right. There's no disputing Thiel's immense software, internet, and financial insight and success. But calling cleantech "a disaster" when three cleantech IPOs have already launched this year and six more are on deck seems willfully ignorant. Daniel Yates, the CEO of Opower, notes, "Cleantech hasn't been a failure. It's VC investment in cleantech that has been troubled." I would suggest that it is the height of arrogance to apply the lessons learned in Thiel's sectors of expertise to green technology and renewable energy. Facebook, LinkedIn, and PayPal hardly had a 100-year incumbency to displace. Social networks, with their arguable value, are computing problems. 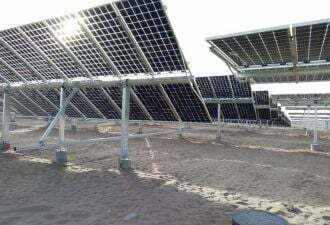 Renewable energy, in most cases, is a materials and mechanical engineering problem. You can't just put 12 software engineers in a room with a foosball table and some ramen and get a better biofuel in 18 months. Solar panels are hugely capex-intensive high-tech commodity products. Smart grid improvements might come in the form of networks and software, but they are massive undertakings -- Silver Spring Networks, a smart grid network platform, has taken a decade and hundreds of millions of dollars to get to its current IPO filing stage. In Vinod Khosla's viewpoint, the smart grid is going to be less about software and more about power electronics. And advances in power electronics scale differently than software and social networks. It's almost too simple an argument to win, which makes me wonder what Thiel really had in mind. I'd also take issue with the idea that software, apps, and hackathons are going to have a material impact on energy usage. Sunil Paul, also an IT entrepreneurial success, albeit on a smaller scale than Thiel, has been leading an effort to "demonstrate the impact of applying information technology to resource constraints." Activities like analyzing traffic patterns, developing algorithms for ride sharing, and creating iPhone apps for turning on your appliances remotely may be cute, but they don't make material differences in energy usage. Perhaps there are some impactful water or farming or home monitoring applications yet to come from the dataset jockeying which Paul embraces. Still, If that's the best that the software engineers can do to impact energy usage -- I'd suggest we let the hardware engineers get a bigger share of the VC money. And let the IT investors get out of the way.